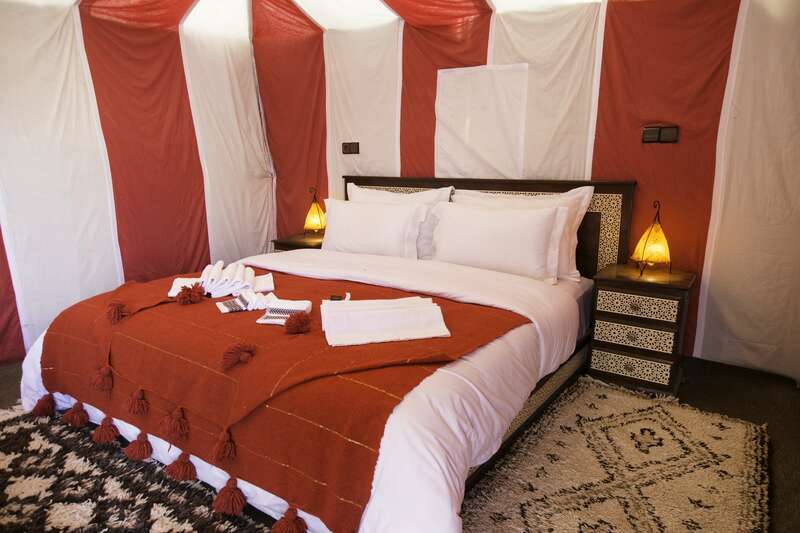 This tent contains 1 double bed & 2 separate comfortable beds and small seating place in front of the tent. 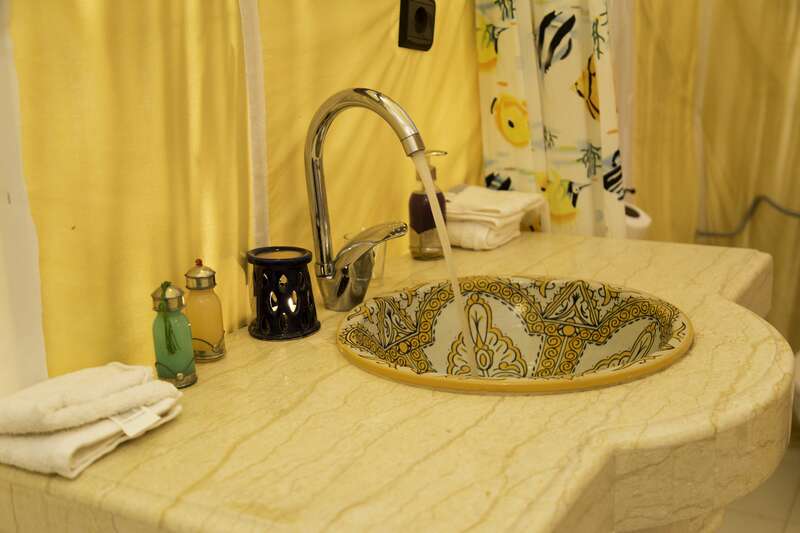 It has private shower and WC + hot water and electricity. 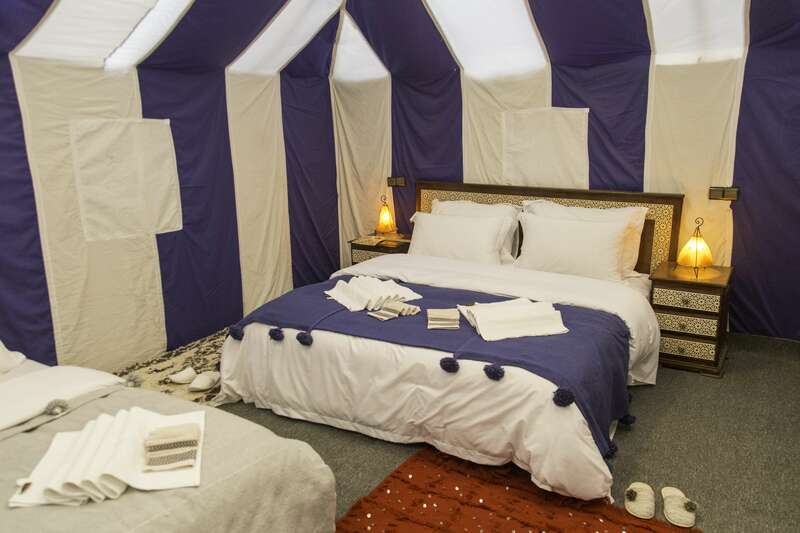 The tent was made especially for the families of four people. Bed: 1 king size double bed & 2 separate beds. 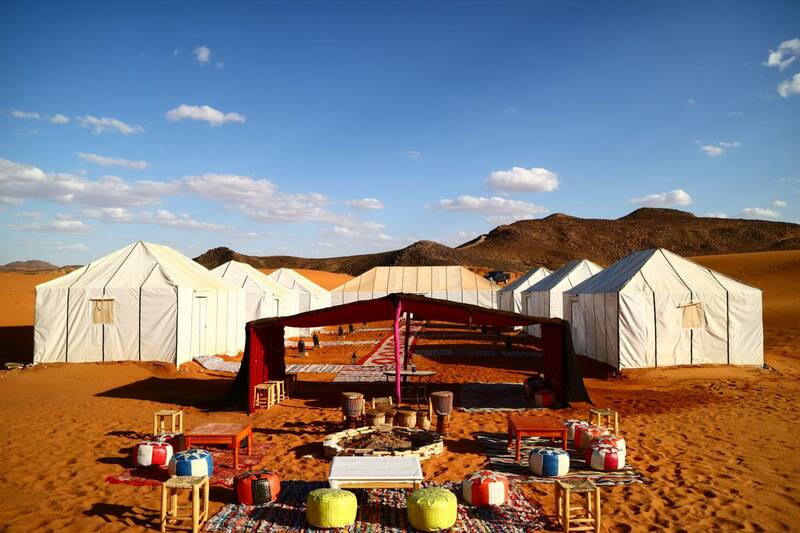 Every tent of the camp is widely separated from the others tents with a big space in the middle to provide best privacy to our guests. 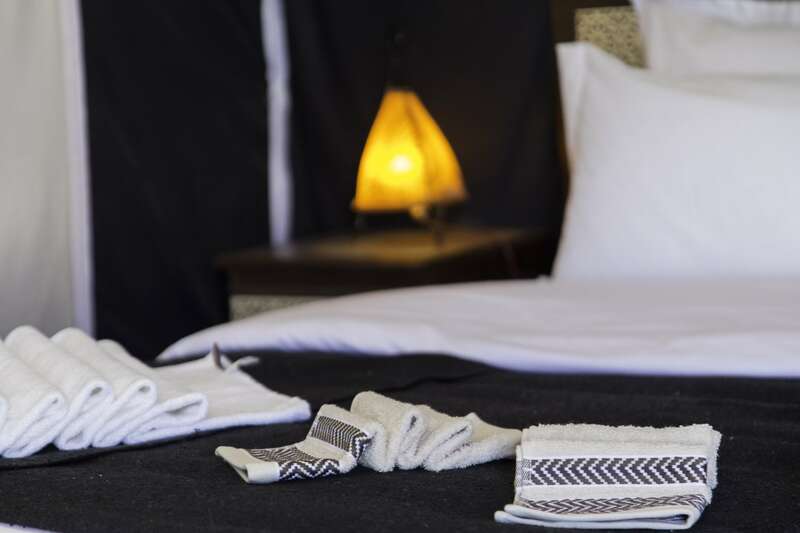 Every tent has selected bed linen and a wide ensuite private bathroom with everything you need for a highest comfortable stay including electricity and seating area in each tent and around the camp in the sand dunes. 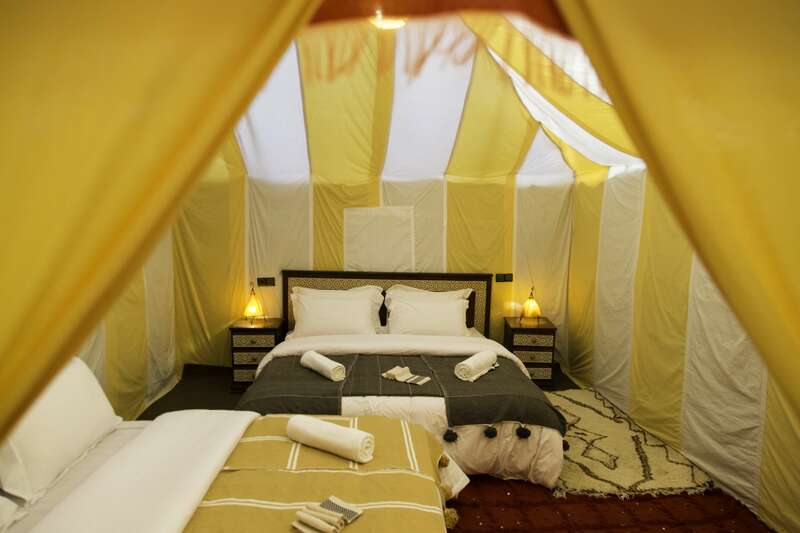 If I book overnight in this tent what’s included? 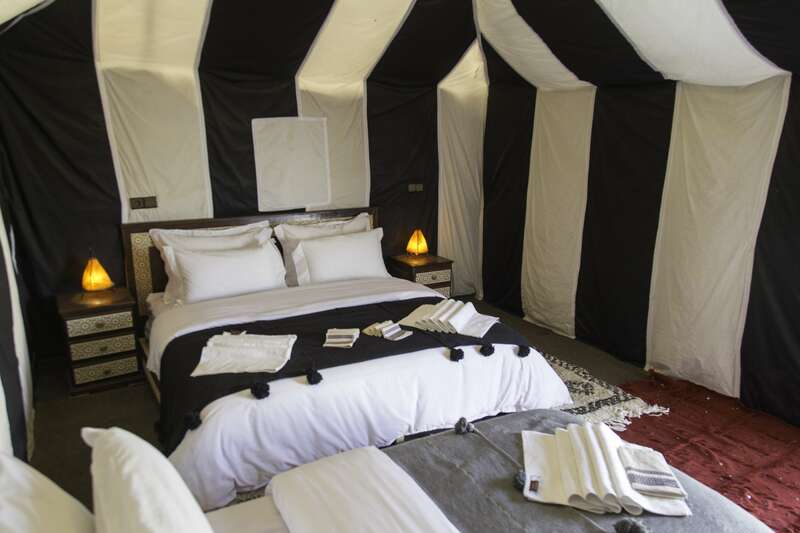 Private luxury tent (Shower + WC). Camel Trek for 1 hour crossing the sand dunes. Bottle of water each during camel ride. Dinner and Breakfast in camp. Berber drums music party after dinner. Enjoying the view of the very big and large sand dunes of Erg-Chebbi and the black rocky desert is something you should not miss.